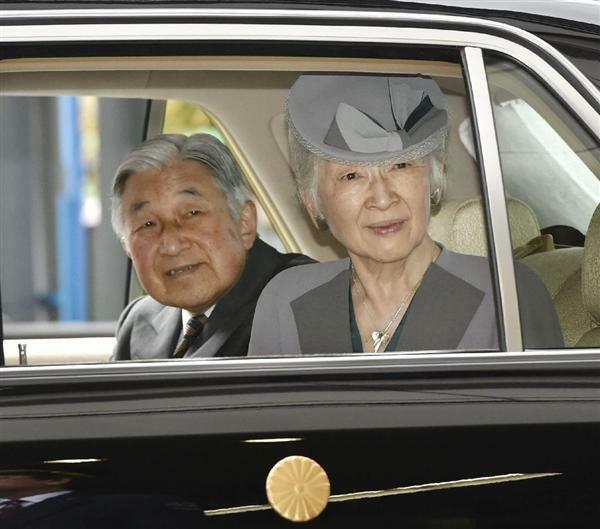 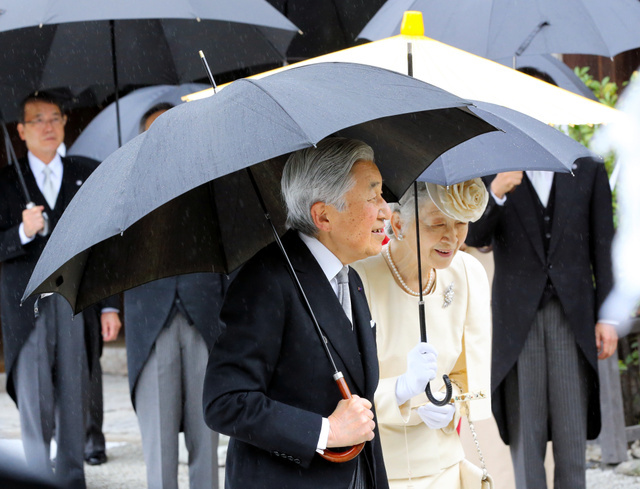 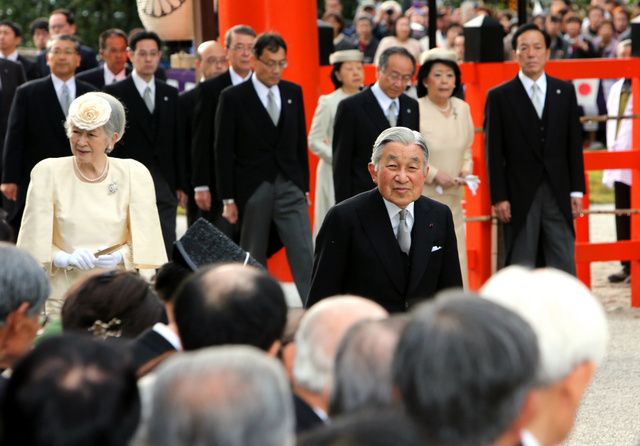 From 23rd October to 26th October, HM Emperor Akihito and HM Empress Michiko visited Kyoto Prefecture to attend the opening ceremony of the 40th World Congress of the International College of Surgeons. 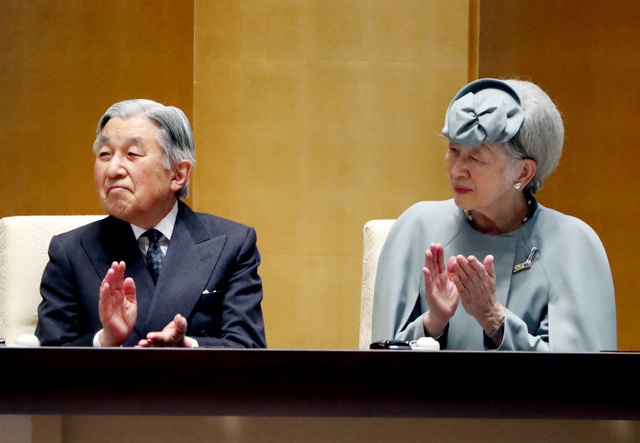 On 23rd October, Their Majesties attended the tea party held by the staffs of Imperial Household Agency Kyoto Brunch took place at Kyoto Imperial Palace in Kyoto City. 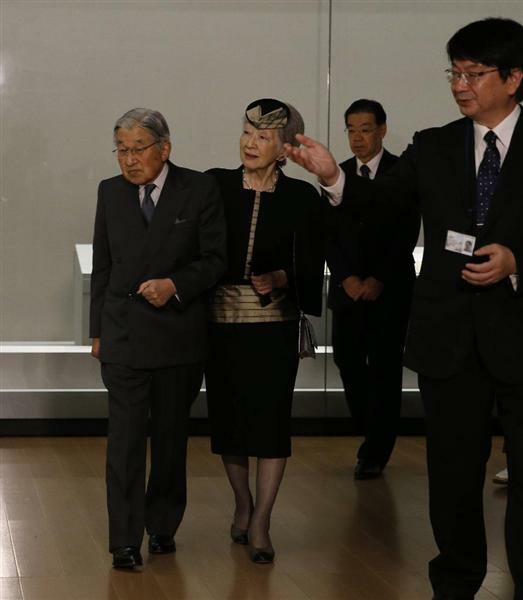 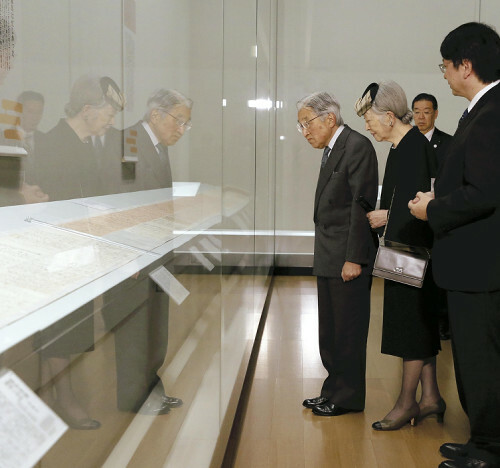 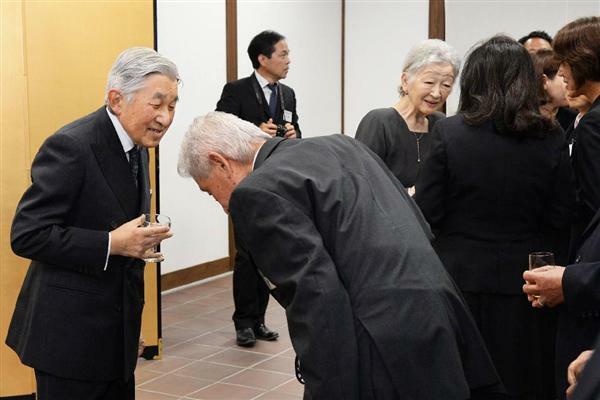 On 24th October, Their Majesties visited Kyoto National Museum to see the exhibition of Ryoma Sakamoto. 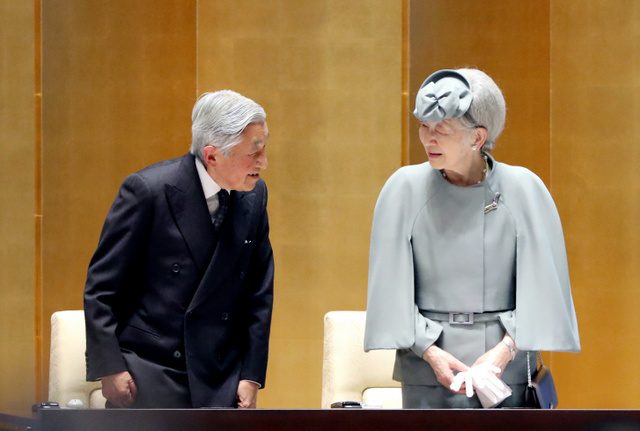 On 24th October, Their Majesties attended the opening ceremony of the 40th World Congress of the International College of Surgeons took place in Kyoto City. 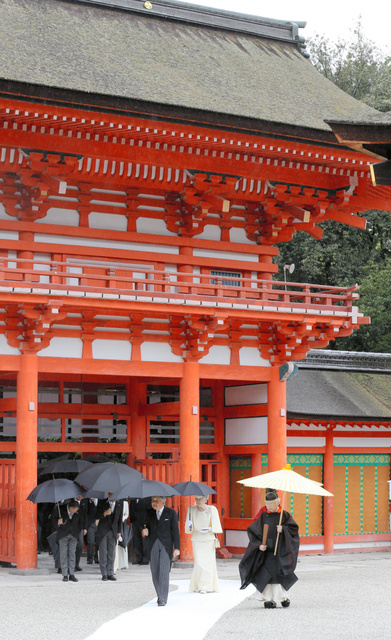 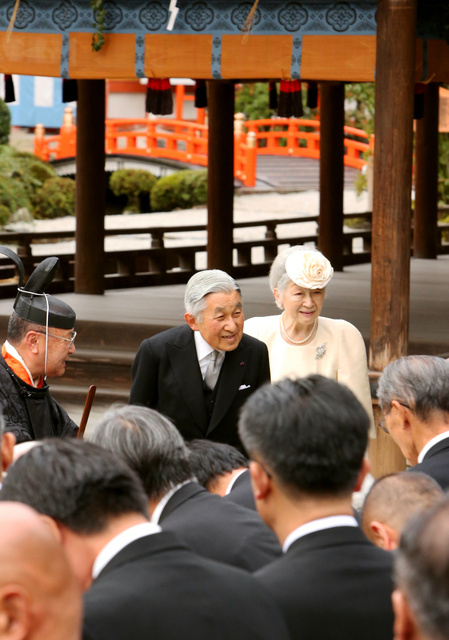 On 25th October, Their Majesties visited Shimogamo Shrine and Kamigamo Shrine in Kyoto City. 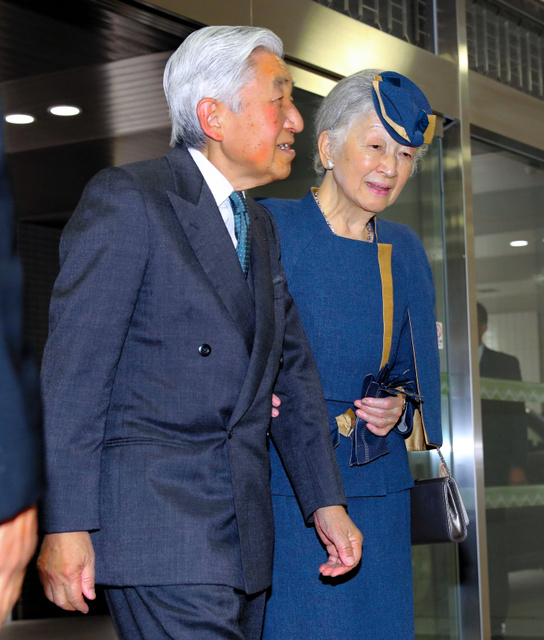 On 26th October, Their Majesties visited Kyoto Prefectural University of Medicine to inspect the regenerative medicine of visual function.